Pai Lum Tao, meaning "Way of the White Dragon", is composed of five specific disciplines. 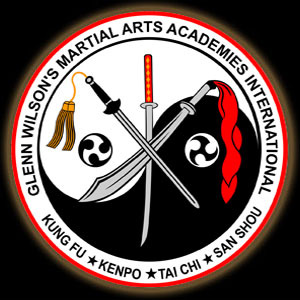 As handed down directly from the Great Granmaster Daniel Kane Pai to Grandmaster Glenn C. Wilson, these disciplines are Pai Te Lung Chuan Kung Fu, Bok Leen Pai Kenpo, Pai Yung Tai Chi, Kwan Yen Chi Kung, and Pai Lum San Shou. 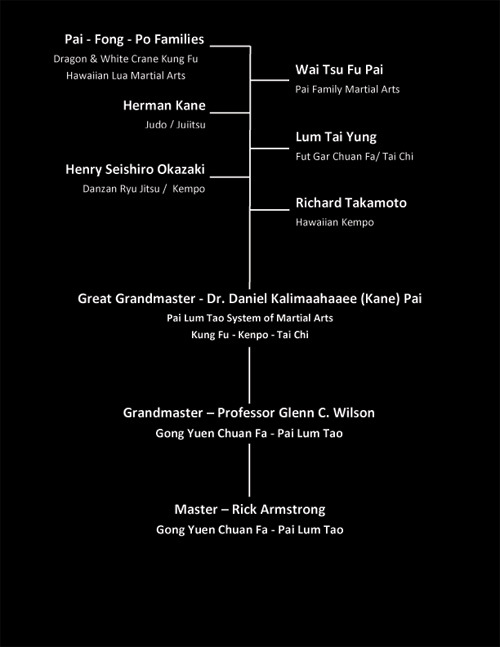 Use the jump menu on the left to take a deeper look into the history of Pai Lum Tao and it's disciplines!